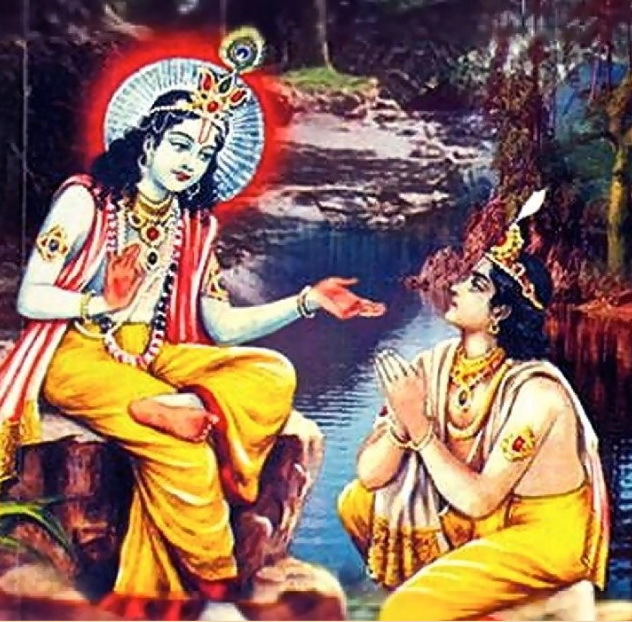 From his childhood, Uddhava had been with Krishna, charioting him and serving him in many ways. He never asked for any wish or boon from Sri Krishna. When Krishna was at the verge of completing His Avatar, he called Uddhava and said,‘Dear Uddhava, in this avatar of mine, many people have asked and received boons from me; but you never asked me anything. Why don’t you ask something now? I will give you. Let me complete this avatar with the satisfaction of doing something good for you also’.